Destiny of Spirits was shut down on June 30th, 2015 on PlayStation Vita in all territories. Sony Japan announced their decision to retire the game in a statement released March 26th, 2015 [Archive]. In the statement they outlined a “Fan Appreciation Campaign” to reward the 1+ million players who had downloaded the free-to-play game up to that point. Despite the 1+ million downloads it’s likely that there was a low number of active players with the sale of “Destiny Orbs” lower than the costs to maintain the game. The decision may also have been based on the reception of Q Entertainment’s previous online-enabled strategy game, Guardian Hearts Online. Released only in Japan in 2012, it was also shut down. The studio also cancelled the Vita port of the mobile game, Heroes of Infinity, in 2014. 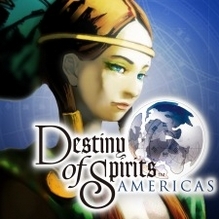 “Destiny of Spirits™ is a free-to-play, location-based, social strategy game. Players from around the world work cooperatively in turn-based, RPG style action to battle fierce Chaos spirits in order to purify and save the world. Your unique destiny will be bestowed upon you each new day by way of a mixture of Fortunes and Elements. This will directly influence the abilities of your Elemental Spirits in battle, as well as your own chances of discovering new Spirits waiting to join your cause. There are three different versions of Destiny of Spirits available by region. Different Spirits appear in each version and depending on where you initially start the game. As Spirits are all around us, there are several ways to obtain new Spirits and add them to your collection. By using the PS Vita system’s location-based technology and traveling real-world distances with your PS Vita system, you can unlock new Spirits with every journey. Interaction with fellow players from around the world will enable you to trade spirits and obtain unique Spirits only available in certain regions – your friends in Japan and Europe will have an entirely different set of Spirits that you’ll want to get a hold of! This game will not boot past the start screen if the chat restriction is enabled on the user’s SEN subaccount.